Kangaroo meat is very low in fat, usually less than 2%. This makes Kangaroo very healthy but also means it must be cooked carefully. 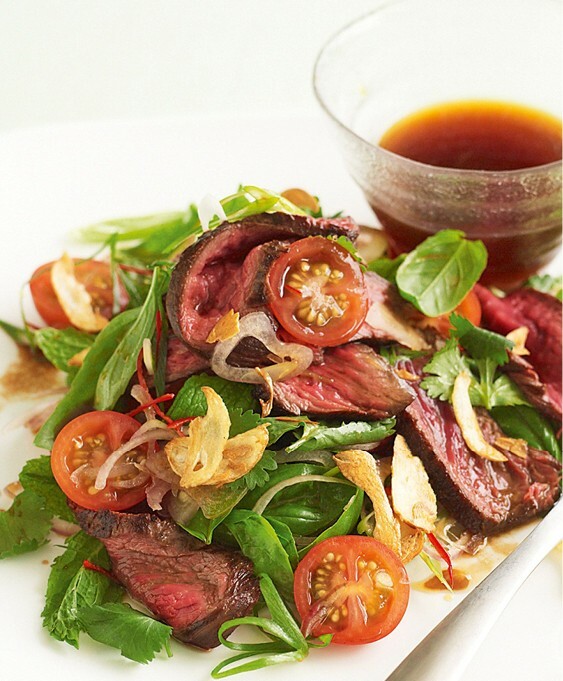 Kangaroo is also a rich source of protein, iron and zinc. Being a natural wild meat, Kangaroo can claim to be free from chemicals, hormones and pesticides. Ideal for pan frying, BBQ and roasting. Also suitable for stir frys. 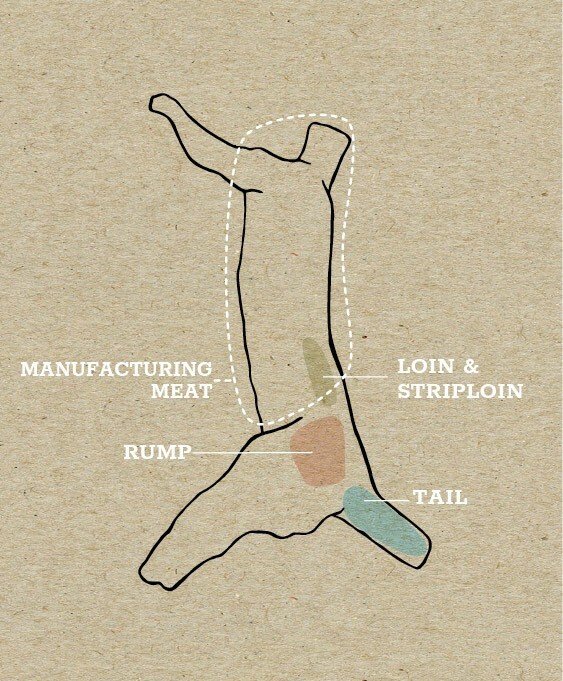 The Rump is prepared from the leg and is the most commonly used leg cut. A lesser cut than loin but it is suitable for pan frying, BBQ, roasted whole or cut into stir fry strips. Tail is prepared into portions by cutting through the joints. Ideal for curries, casseroles and soups.  Consists of boneless forequarter meat and residue meats remaining after the preparation of primal, carcase or portions of a carcase. Used for wet dishes such as casseroles and curries. Sear gently then cook at low temperature for 1 hour @100C. Kangaroo is very low in fat and is best served medium-rare. This equates to an internal temperature of 57°C/135°F if you’re using a meat thermometer. When grilling, barbecuing or pan-frying steaks, first brush each side of the meat with a little oil, before searing for one minute each side per cm thickness and then cook to rare. Take off the heat and rest for 5-10 minutes under foil or in a warm oven. Cooking any more than medium rare will tend to dry out the cut due to its low fat content. Best cooked whole and then sliced. When roasting larger cuts, first sear all sides of the meat to seal in the juices. To achieve a medium-rare roast, cook at 2000°C for 15-20 minutes per 500g. Kangaroo stir fry only takes a couple of minutes cooking on a high heat – just remember to keep the meat moving in the pan or wok to avoid over-cooking. After cooking, let your kangaroo rest, covered, for 5-10 minutes to allow the juices to evenly disperse.